SEO is more than just achieving better rankings than your competitors, it’s about getting quality leads and conversions. Our flexible and carefully measured SEO packages are designed and proven to get results that will boost your revenue. We have worked with almost every industry and know that every bussiness is unique with each having their point of difference. This is precisely why we offer customised SEO packages that will help you outrank competition. There’s no universal SEO approach for every business – so we start by communicating and understanding your products and services and which of those are of priority to you in order to target the search terms your potential customers / search engine users are typing in search engines in order to find your services or products. Educating ourselves about your unique requirements, implementing a thorough SEO audit of your website and competitors’ sites as well to draw up an affordable SEO package that boosts your businesses search engine presence. This range of package suits SME’s who are targeting business localised by suburbs. This range of SEO campaign is to target more competitive keywords within a city and included suburb based keywords. Gain more visibility over your competitors with our full scale measured SEO Campaign bringing results for the most competitive industry nationally. We offer packages that meet small, medium and big businesses. Our efforts result in long term benefits. Whether its specific set of keywords you wish to target, schema mark-up, quality link building, Google Analytics, competitor analysis, complete SEO audit, local SEO or exclusive content marketing, we offer plans to suit your unique needs and distinct industry benchmarks. This is precisely why our SEO packages are customised uniquely to get the best possible results for your investment. Get the best value for your investment by taking advantage of our affordable and effective SEO services. So get started. You can browse and compare our carefully measured SEO packages above to maximise your online visibility and ROI. Whether you are a well-established company or a small business start-up, we offer the best SEO packages that consist of the right combination of strategies and plans at cost effective prices. We customise our basic SEO packages based on your unique needs to maximise your business’ potential. Our tailor made SEO packages will drive quality traffic to your site from popular search engines. As a result, you gain new leads and customers for your business. We offer the right SEO package for your site that produces specific results and not just traffic which won’t convert fir your business. On the other hand, we will make sure you have a better understanding of our SEO packages so you can choose one that meets your unique business requirements and feel more confident about the results it can produce. We create and implement a package that’s in compliance with the latest Google search engine algorithm updates. So you can count on our transparent, sustainable and smart SEO strategy, as we ensure your website is optimally optimised for SERP’s. We send well detailed monthly reports to help you understand more about real time results and the SEO status of your site. We don’t indulge or involve you in any locked-in contracts for any period of time, unlike most SEO companies. What is the minimum cost for a monthly SEO Plan? Our SEO Packages / Plans start from $600 per month. The reason is we need a minimum amount of SEO strategies within the one-month SEO plan to achieve results. This gives all start-ups and small business to get a taste of what our SEO Plans can return to your business. Are your SEO strategies in SEO Plans fixed for all times? Our SEO Packages / Plans can change after your approval of course. SEO / search engine optimisation or even search engine exposure for search terms which relate to your business products or services takes some time to achieve results. Unlike Google AdWords/PPC where you show up the top with ads in a few days. If we see that content marketing is giving better results than Press Releases or Citations, we then focus on the SEO strategies that perform best for your business. Do you only have the 4 SEO Plan? Of course not, each business depending on the industry, the age of their domain/website and whether they are seeking for cusomters Australia wide, Sydney or Local Suburbs we customise the SEO Plans accordingly. This happens after we have implemented our SEO Audit process where we measure your current SEO status, the competitivenesof the keywords you wish to show up in search engines and location. Therefore the SEO Packages we present on our website are a guide. We can also draw up an SEO Plan / Package absed on your suggested budget and then we work by targeting keywords which are not so competitive but still can generate leads. I currently Do Google Adwords, Is SEO Better? Adwords prices are only going up, as ad CTR in search engines is dropping and people use more and more Ad Blockers. It’s good to find a balance between the both. Although SEO might be better on the long term, PPC/Google Adwords is useful early on. You can also keep doing PPC even when you’re ranking high in organic results. It’s always good to many times for the same search term. 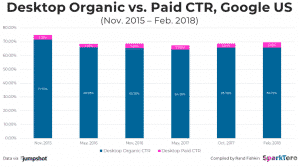 Google Ads only get about 2-3% CTR while the rest goes to organic searches. That’s why the average cost per ad will be only going up in time. Do you provide Monthly SEO Reports? Yes, we do provide SEO reports every month and not just at the beginning of our partnership as we like to see our cooperation but throughout the whole period of our business partnership. Our SEO Reports are detailed and fully transparent presenting to you all the SEO work we proposed in our Quote from the beginning and providing full proof of work implemented. With links to all the SEO strategies implemented. The reason for the detail in our reports it to provide you with a way to measure the amount of SEO work performed so you know where your money is going and the results. No, we do not have any lock-in contracts we work on a month to month basis with a 30-day notice. We are confident we can achieve your trust with our work ethics and results early in our business relationship in order to give our SEO Plan enough time to give back to your business what it deserves. Can You Guarantee Number 1 positions? You have to understand that nobody knows 100% how Google ranks websites or how their algorithm works, but there are good practices and Google Guidelines you can follow to try to get there and also some risky methods that can later affect negatively your rankings and possible manual google penalties which can keep you away from the top of search engines for a long time. You can, however, be reassured that you’ll we will do everything that is within our power to try to get you to position #1 with as many related keywords which will convert, without compromising the future of your website in the search results. How Long Until I Get to #1 position in Google? Well, that really depends on many factors, such as budget and competition. Do you want to rank #1 for one specific keyword? For one hundred keywords? For thousands? The site might grow its domain authority as a whole, but some keywords may take longer to rank than other keywords. We an give you an idea of how long it could take but this is an estimate.